There are 600 Evangelical churches for every unreached people; so, if we all adopt a people, the world can be reached very quickly. There is strategic value in adopting a people. I grew angry as I read the report that WEC had planted a church among the Jola of Senegal back in 1956; but, by 1986 it was still only 11 people, not one of whom was free from fear of the occult. Within a year, sixty of us had adopted the Jola people and promised to pray an hour a week until the church reached lift-off. Today that first church has 80 members and, in a campaign last summer, saw 104 new believers which they formed into three new cells. There are twenty more churches between 10 and 50 members, planted not only by WEC but by Southern Baptists, a Brazilian mission and African missions based in Nigeria, Rwanda and Senegal itself. All churches, many of which are led by qualified Jola pastors, are growing. In 1986 only three of the dialects had any outreach at all. Church planting and translation/literacy teams are moving into more and more dialects, including the Jola of neighboring Gambia and Guinea-Bissau. Adopt a people; build the kingdom! There are 600 Evangelical churches for every unreached people; so, if we all adopt a people, the world can be reached very quickly. Adopt your missionary's people and make your missionary successful. It is not just lack of a 4×4 or an illness in the family that obstructs the progress of your missionaries; it is spiritual opposition. That is something you and your church can overcome. Adopt their people. Pray down the obstacles one by one in the name of Jesus. Throw down the strongholds of powers that exalt themselves against the knowledge of God. Each people needs a team of intercessors committed deeply enough to find out the situation in detail and pray specifically. By focusing on just one people, the church can know when it makes an impact and can avoid the "mile wide, inch deep" syndrome. Adopting transforms the church too. I'm learning to pray. If the answer does not come this month, I'm back on my knees next month asking God why. Never in my life have I been so deeply motivated to grow into holiness. Adopting a people is good for you. Many churches have found it useful to adopt an unreached people. The various activities could well draw in a host of people with a wide range of different gifts. There are activities for every age-group and every small group in the fellowship. Children and teenagers can adopt a people and pray in their own way for them. Window on the World, by Daphne Spraggett (WEC International with Paternoster) gives 26 countries and 26 ethnic groups suitable for adoption, each with a story, picture, map and seven prayer points. It is written with young people in mind. Does your church already support outreach to one or more unreached peoples? If so, one of these would be an obvious choice. Which missionary agencies does your fellowship support? Ask them to help you in the choice. Any mission will be delighted to do so. Do you have a particular religion in mind-should it be among Muslims, Buddhists or Hindus? Do you relate better to any particular continent? Does one of the following families of peoples leap out at you? The Sahel belt of Africa, Arab world, Persian peoples (Kurds, Iranians, Afghans, Baloch, Tajiks), Turkic and Central Asian, South Asian, East Asian, South East Asian? Are you thinking urban, rural or nomadic? What size of population do you have in mind? The larger the people, the more strategic it is likely to be, but the more difficult it is to pray for people by name. Do you prefer a people that is accessible for a possible future visit? Do you prefer a people that already has missionaries on the job, allowing you to get instant news? Or do you prefer a totally unreached people for whom you will have to pray that a team will be called? Another alternative but much tougher option is to choose from the Joshua Peoples list. See the web site at . How do we adopt a people? The church leadership team needs to discuss it. Take time to seek God's will. It means a commitment to pray until your people has a thriving national church. It may involve a selection of activities listed below. Is now the right time to begin? Once you are sure appoint a coordinator. Pray that God will indicate the right person. It must be someone who has a heart for reaching the unreached, is able to get things done and able to motivate others. The leader of the missions committee may be too busy already. A job description for the coordinator could include such factors as the need to communicate with the missions committee, pastor(s) and elders, mission agencies working among your people and other churches interested in your people. These may be discovered on various Websites (you can start at www.mislinks.org/practical/peoples). The coordinator would be responsible to raise and maintain the profile of the people in the church, coordinate prayer for the people, commission research on the people and make it available in the church library. What are their physical needs-water, food, health, literacy? What are their institutions-family life, government, education, ways of communicating, religious beliefs and practices? What is their history? Describe the geography of their area. What is their spiritual state? The next step is to sell the idea to the congregation. 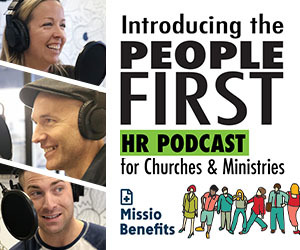 The pastor will want to explain the remaining task in world evangelization and how your church's part in this can be enhanced by adopting a people. Strengthen the impact with an evening of ethnic food, displays, cultural events and prayer. Then launch the adoption in a special morning service. Read together a statement of commitment to this people and have the entire congregation pray a prayer of dedication. Prayer is the key to make the adoption work. Share a prayer request every Sunday; hold a telephone hookup or read an e-mail update in a service; plan a regular prayer meet; give a weekly prayer point to every home group, youth group, men's group and/or women's group. Celebrate answers to prayer with worship and praise, both in the main congregation and the small groups. There will be times of discouragement and battle. It is essential to celebrate the times of progress and victory. Worship reminds us that God is the greatest! Activities add to the intensity. Place a visual reminder in the church entrance. Prepare a well-presented information folder about the people, a photo album, a video, a selection of children's stories, drama scripts, some artifacts and coins. Circulate these around children, youth and adult groups for special emphasis days. Write a spot in the weekly bulletin. Ask church volunteers to make ethnic clothes or ask the missionaries to send some. Plan an ethnic dinner with a speaker, dramas, cultural games, language puzzles and discussion groups considering an upcoming problem and taped music from the area. Arrange visits to the church by missionaries working among this people. In collaboration with the field, participate in development projects, sponsorship plans for children or Bible College students and micro-loans to help people gain employment. If there are no such plans, see if it is appropriate to start them. Arrange visits to the people by the senior pastor, church leaders and church members. These can take the form of fact finding tours, prayer treks, mission exposure trips, construction teams, literature distribution, aid projects, ministry and counseling. Those who have made a trip can draw maps, take photos and videos and make displays and audio visual shows to raise the profile of the people before the church. They can visit home groups, ladies groups, youth groups and other churches to talk about the people. People with the right gifts can write children's stories, dramas and activity projects based on this people for use in churches. Send a copy to the mission organizations working among your people. When appropriate, arrange reverse visits to interested churches by national believers. Send birthday cards, church bulletins, current magazines and latest books to your missionaries. Is there any food they may crave that is not available out there? Offer to be a purchasing agent for them. Find items like car parts and electronic equipment. Then find ways of getting the items there safely. Many different gifts are needed, involving many different people in the fellowship. Become a people advocate. Do you enjoy desktop publishing? Do you have e-mail? Are you passionate about your people? Would you be able to gather the news from all the different workers (from whatever agency) among your people? Could you publish a monthly update, not only for your church, but for all churches and individuals who have adopted your people? Could you help set up an adoption in a new church that wants to join? Then you're gold! We need you! You're a people advocate! Every people needs one. John Bardsley is International Prayer Coordinator for WEC and has acted in various roles during his 28 years with the mission. He adopted a people in 1986. Copyright © 2002 Evangelism and Missions Information Service (EMIS). All rights reserved. Not to be reproduced or copied in any form without written permission from EMIS.